September is baby safety month and a good time to refresh on home safety tips. A recent study said that in the U.S. 34 children are admitted to the ER daily and 1 child dies every 5 days from choking. That is over 10,000 children- a scary statistic! The best way to make sure your infant, toddler, or child doesn’t choke is to cut their food to appropriate sizes. You shouldn’t have to limit what they eat, just the size of their bites. I think that family dinners should be just that- one meal that everyone eats together. When my children were infants, I would turn whatever we were eating into babyfood or I would cut it up so they could chew. Chewing is important for speech development, which is why it is encouraged early on. My picky toddler eats the same meal as us, though I cut his food up into smaller bites, especially since he stuffs his mouth. I was recently introduced to Mixed Pear BiteSizers Mealtime Scissors and they have made my life so much easier! 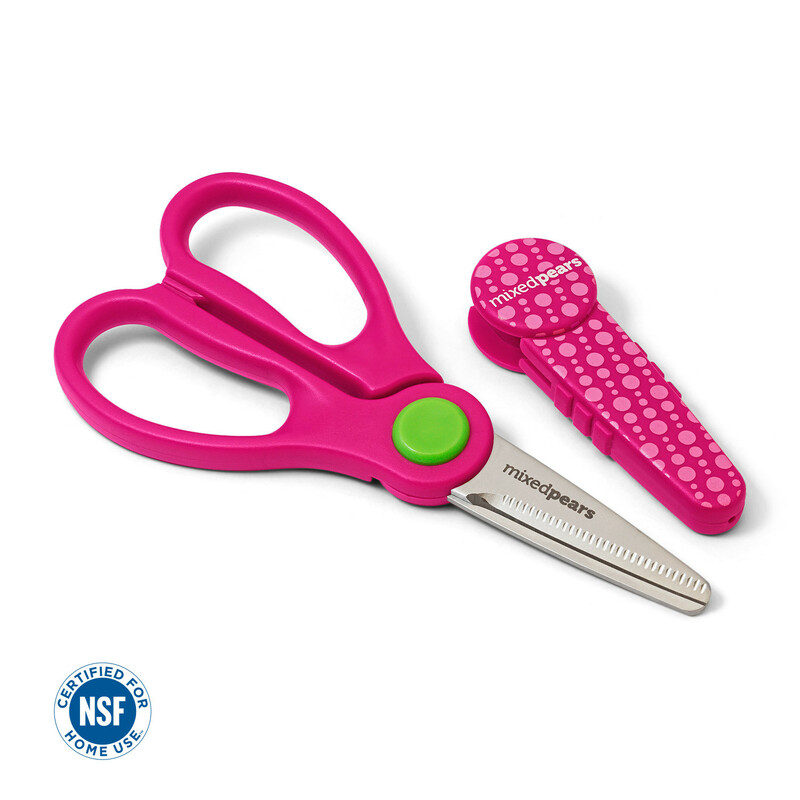 BiteSizers Mealtime Scissors are certified to be BPA-Free, Lead-Free, Phthalates-Free, PVC-Free, Formaldehyde-Free, NSF Certified for home use and are made with utensil-grade Japanese Stainless Steel blades. You cut the cooked food or raw fruits and/or vegetables to the size you need. They come with a snap on cap, so they are easy to take with you to restaurants or when traveling. They are easy to use and clean. 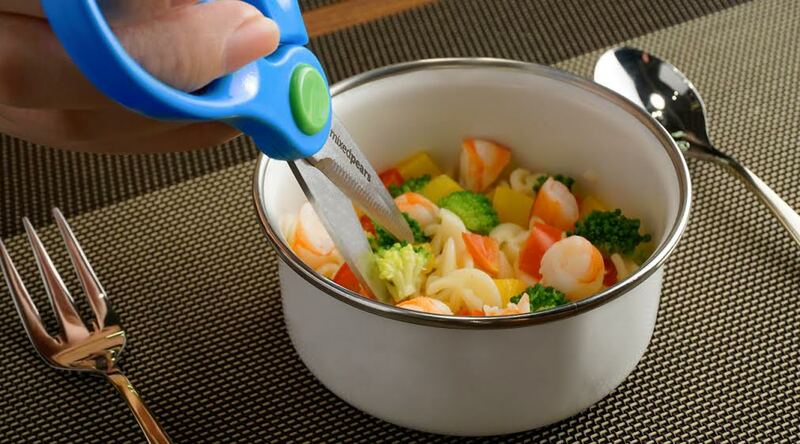 The scissors are made to cut fruits, vegetables, cooked meats and seafood, pasta, and any other food you need to be bite sized or small. Another thing I’ve found the BiteSizers Mealtime Scissors are good for is food prep! Sometimes we have to cut veggies to hide in foods for our picky eaters. My oldest loves eating carrot chips with her lunch, but my toddler does not. He likes them cut up into shreds sometimes, but not always. I usually make zucchini carrot muffins, but it is hard to shred the carrot chips that my daughter eats. 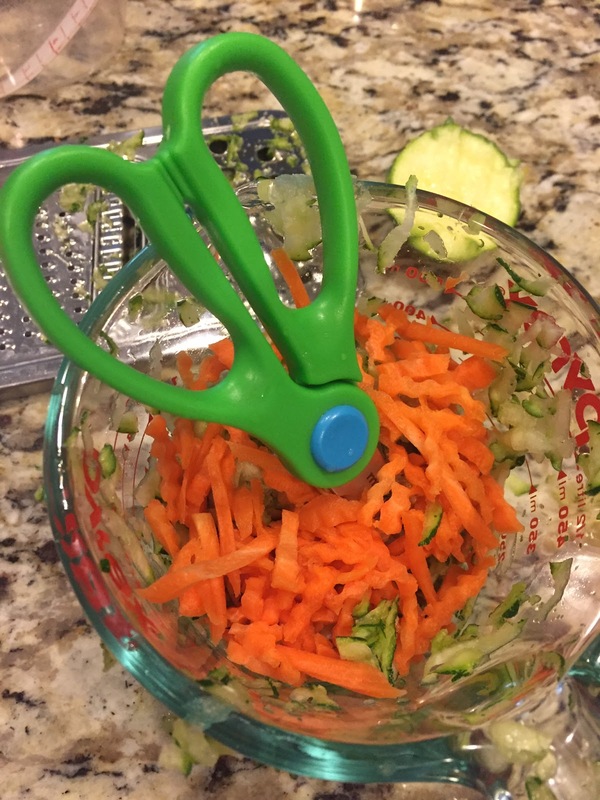 The BiteSizers Mealtime Scissors are perfect for the job! You can purchase BiteSizers Mealtime Scissors online for $19.95 and they are available through Amazon. Sample Disclosure: The opinions expressed above are honest, accurate, and not encouraged anyway by monetary donations. A sample free of charge was received from said company, as stated within the editorial.